YES Tris, you’ve done it again! Who doesn’t love Ferrero Roche? 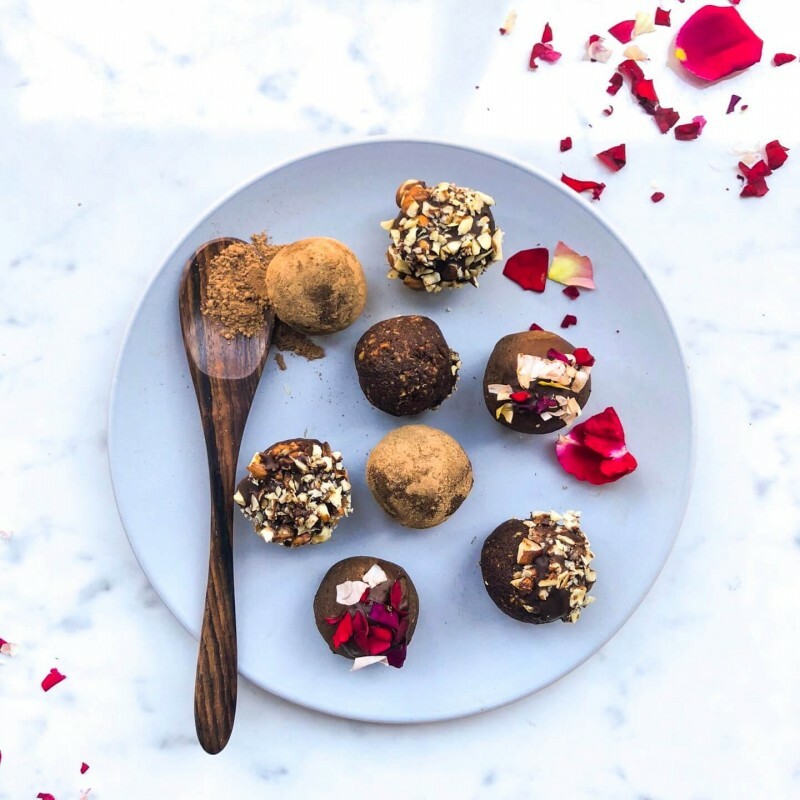 Head to Tris’ page to find out about the benefits of cocoa powder and more gluten-free recipes. Add all ingredients into a food processor. Blitz for a couple of minutes until well combined. Mixture will form a dough and stick together. 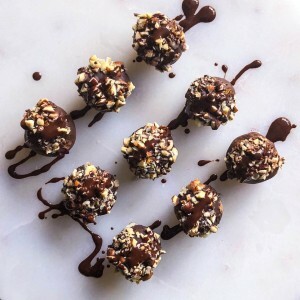 Roll into Ferrero Rocher sized balls, sticking a whole hazelnut into the center of each ball. If making the coating, freeze balls for 5 minutes while preparing the chocolate. If not, refrigerate in an airtight container for up to 5 days. To make the coating, melt chocolate and coconut oil in a bowl over a pot of simmering water. Roll each ball in the chocolate then through the crushed nuts. Refrigerate to set and enjoy your gluten-free, Ferrero Roche goodness.